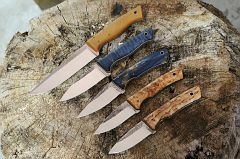 Discussion in 'Osprey Knife & Tool' started by Osprey Knife &amp; Tool, Jul 14, 2016. Ready to snag some Osprey's this Evening? 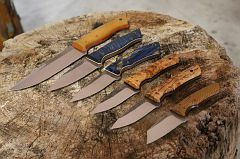 I will be offering 6 knives up tonight at 9pm EST. This is my inaugural sale I hope to see some familiar people tonight! i bet that kevlar one is the first to go! :thumbup: Sweet looking knives Chris! Thanks Gus, I am writing the thread now. I was having a bit of a learning curve today getting everything ready and uploaded. But I think I have it figured out. Look forward to seeing you there! Hmmmm, I suppose we're not Sharks over here. Good luck Ospreying!? 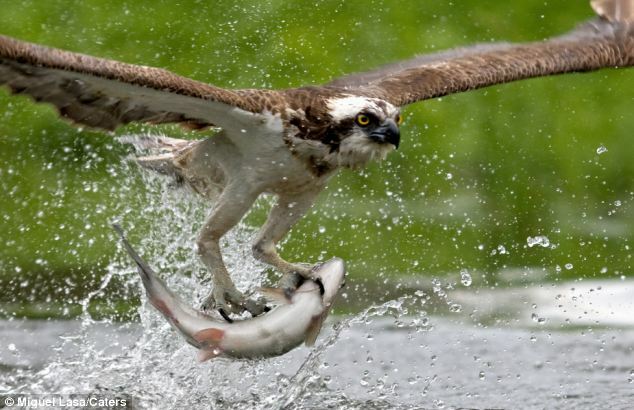 Ospreys dive bomb their prey alot and can reach speeds of 80+ miles and hour. I am open for suggestions. Preview is Up I will unlock it at 9 good luck Hawking! Do these come with sheaths? The 3/32" warthog is the pick! It is, It is the first Warthog 3/32 tapered tang too! Good stuff Chris. Some pretty cool patterning on the Karelian Birch, that Warthog would make someone a nice EDC. The Mamushi too, surprised that one didn't go quickly. It Thursday! I have some really nice examples of my work going up tonight 8:45 preview 9:00 EST unlock see you guys there. Killing it, man. Just killing it. We are rooting for you to have a successful sale tonight. Thank You! I have my fingers crossed.